Barcelona- Every so often at home in the West people will broach what can feel like an awkward topic of how I journey to Syria or other places that seem to be varying states of perpetual turmoil. I don’t generally have a boilerplate response as I often tailor my answer to my specific audience of one or perhaps three on a New York or Catalan street. The answer that I travel in increments of change. It as not as if one takes an Uber to JFK and lands in Deir ez-Zor governorate the following morning. Everything for me happens in much smaller steps. So I had an idea to dust off this old compact point and shoot and bring it along toward a rugged reporting trip and document these human and geographic increments along the way from friends to militiamen and points in between. 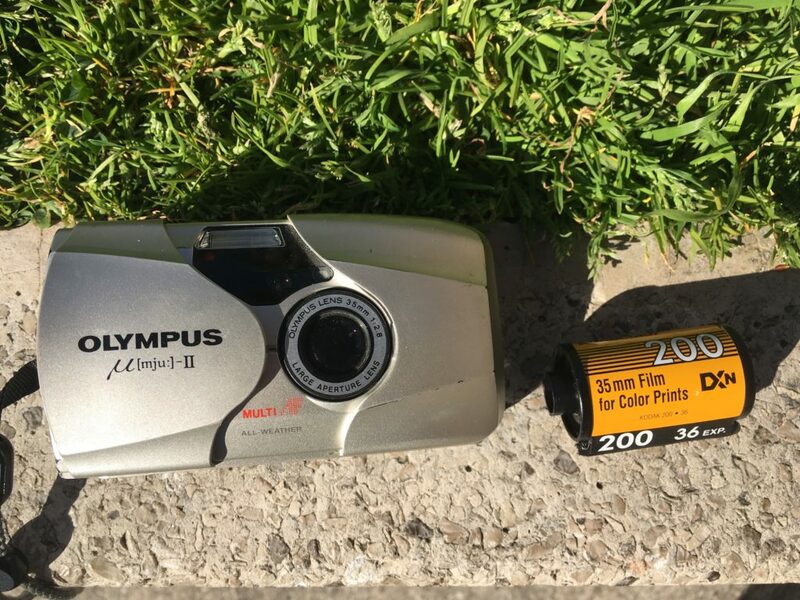 I last used this camera in Syria in 2002 and Iraq in 2003 and am curious to see how it’s held up over the years. More so I’d like to be able to share my experiences in a more relatable way. I have no idea how these images will ultimately turn out but I’m betting on fun at the least. Perhaps I’ll make something of them in a modest story telling format. What I like is that it’s already adding another, albeit minor, dimension to my travels in the greater Mediterranean world. 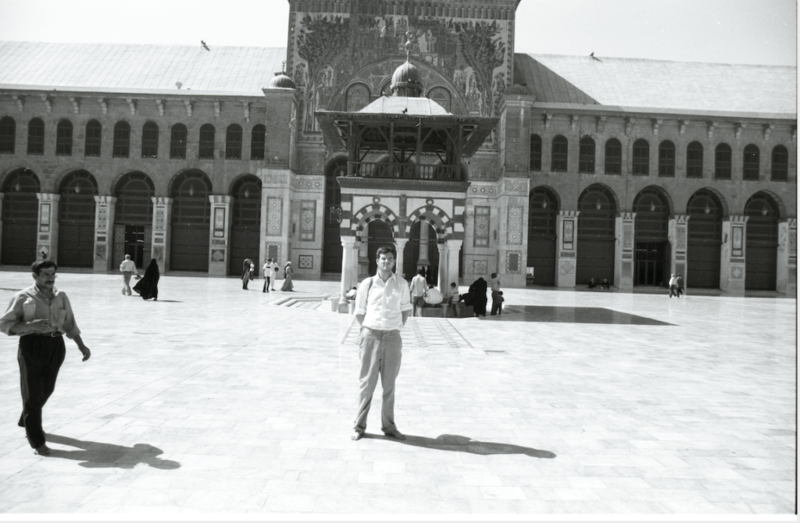 This was shot in 2002 with the Olympus MJU-II in the courtyard of the famed Umayyad masjid at its western portico in Damascus by a friendly Syrian man I handed my low tech point and shoot to for posterity. This majestic complex dates at least as far back as the pre-Roman Aramean era. It then became repurposed for the Cult of Jupiter followed by being dedicated to John the Baptist during Byzantium. Its final and present incarnation is an exquisite Islamic holy site where the octagonal ablution fountain behind me was said to mark the middle point between Istanbul and Mecca.